Acer has just unveiled the Aspire S5, which it claims to be the world’s thinnest ultrabook, measuring just 15mm (0.6 inches) at its thickest point. The Aspire S5 is made of magnesium-aluminium alloy, its packing a 13.3-inch display and weighs less than 1.35 kg (less than 3 lbs). 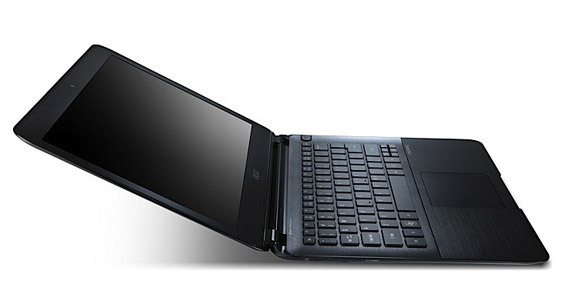 The laptop has all the latest connectivity, including a 20Gps capable Thunderbolt port — meaning that its running on Intel’s Ivy Bridge microarchitecture — HDMI and USB 3.0. An SSD drive will keep things running quick and smooth, while Acer’s Green Instant On promises resume from standby in 1.5 seconds. Other niceties include a chicklet type keyboard and Dolby Home Theater v4 sound. The Aspire S5 will start shipping in Q2 2012 although no pricing has been announced yet. 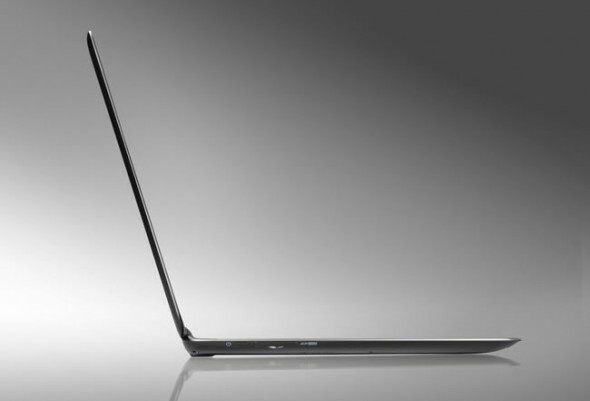 Acer unveiled the world’s thinnest Ultrabook with the Aspire S5, an ultra-slim device that measures only 15 mm at the maximal point. It weighs less than 1.35 kg (less than 3 lbs.) and is built with a 13.3-inch (34 cm) LCD. 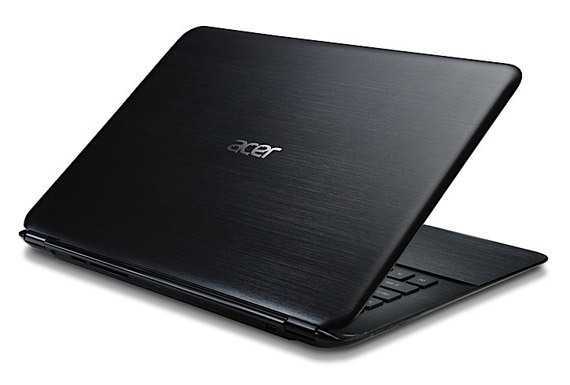 In addition, it features the unique Acer Green Instant On technology for fast boot and resume, and Acer Always Connect, which lets users manage their multimedia and data on all their devices at anytime, anywhere — even from sleep. Innovative Acer Green Instant On and Acer Always Connect technologies enable data upload and retrieval anytime, anywhere, and deliver power-saving features as well. Acer Green Instant On provides instant-resume functionality (in 1.5 seconds) and ensures battery life that lasts several weeks. Acer Always Connectgets users online faster than conventional connections for better productivity and infotainment enjoyment. With their Facebook, Twitter and Outlook email accounts open, users can see updates instantly upon resuming. Furthermore, Acer Always Connect can wake up the Aspire S5 from a remote device like a smartphone. Access to all documents, music, pictures and video files is fast and always available. Adorned with a delicately curved chassis in Onyx Black, the Aspire S5’s cover rim wraps around the system body like a protective shell. A magnesium-aluminum alloy cover and palmrest provide a slimmer and sturdier form, while the metallic brushed detail presents subtle elegance. The clean and ultra-fluid contours seen from all angles make the S5 a vision of beauty. The Aspire S5 is Acer’s first Ultrabook to feature a smartly designed MagicFlip I/O port panel concealed just below the hinge. This design feature enhances the overall slenderness and streamlined form of the S5. When needed, a press of the MagicFlip key opens the panel to reveal a selection of I/O ports: HDMI®, USB 3.0 and 20 Gbps Thunderbolt. 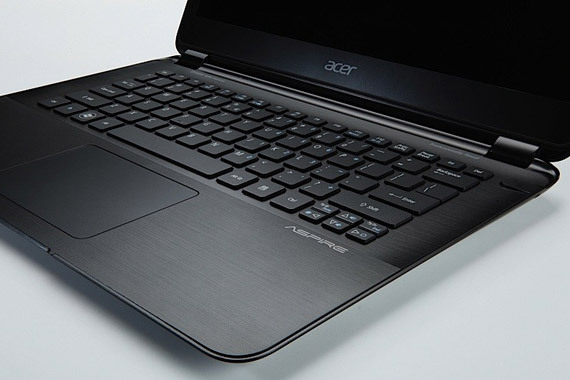 The Aspire S5 features an Intel® Core™ processor, SSD storage for speed and increased shock resistance, professionally-tuned Dolby® Home Theater® v4, long battery life via the PowerSmart battery pack (with a 3X longer life cycle1 than traditional batteries), and is equipped with a chiclet keyboard. The Aspire S5 will start shipping in Q2 2012.